Dominik is one of our wonderful student and he accepted to share with us one of his great life experience, Enjoy!! Recently I backpacked through Asia. 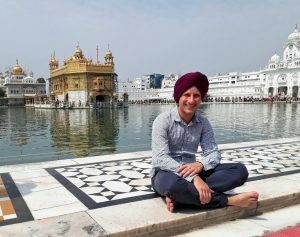 In March 2017 my journey led me to a city called Amritsar in the northwest of India. 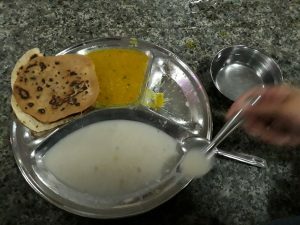 It is the hometown of the Sikhs. Although Sikhism is the fifth largest religion in the world, I have the feeling Europeans do not know a lot about it. 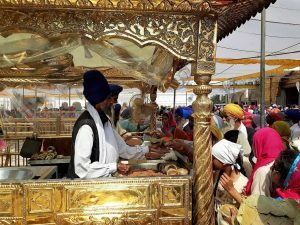 In contrast to the Hindus, the Sikhs do not have a caste system. According to their faith it does not matter where you are from, to which family someone belongs or how wealthy you are. Neither is gender relevant. When I arrived in the city and got in touch with the local people their friendliness and hospitality immediately warmed my heart. Along the most frequented roads, soothing music is played through speakers. Embedded in the middle of the city and surrounded by water lies the Sri Harmandir Sahib, better known as the Golden temple. It is considered the holiest place of the Sikhs and you can soak up positive energy as you stroll around the big building complex. Apart from this, there is a huge kitchen next to the temple. It is financed by donations and run by volunteers. Everyone is welcome and the food is for free! Since I did not want to miss this experience I queued up, received a plate, a bowl and cutlery. Volunteers were distributing roti, dal, soup and drinking water. And here is the best thing about my visit to the so-called biggest kitchen in the world: The meal was so luscious, it really was! Thank you Dominik for sharing this experience with us ☺. Would like to have a nice and good experience in London? And also share your different experiences with us,check our website and our English classes for adults in London.